Readers might be interested in a new article published this week in Tax Notes, Charles P. Rettig, Evaluation of an IRS Undisclosed Offshore Account IDR, 133 Tax Notes 759 (Nov. 7, 2011), here. I note the following. 1. Chuck Rettig is a leading practitioner in this area of practice and his articles are always worthy of note. 2. The article is a good summary of the history and current state of the offshore account problem and the IRS initiatives. Much of this discussion in the article is probably already known to readers of this blog. Playing the numbers game, Judge Jack B. Weinstein, certainly one of the deeper thinkers in this area, observed that the lesser clear and convincing standard of proof (the standard applicable in civil fraud matters such as a civil fraud penalty under § 6663) might be quantified as proof above 70%. See United States v. Copeland, 379 F. Supp. 2d 275 (ED NY 2005), aff’d United States v. Copeland, 2007 U.S. App. LEXIS 19794 (2d Cir. 2007), quoting United States v. Fatico, 458 F. Supp. 388, 411 (E.D.N.Y. 1978). Other thoughtful observers quantify the proof for “clear and convincing” at 75%. See Lewis Kaplow, Burden of Proof, 31 (to be published by Yale Law Journal (2012), but appearing in draft form dated 8/15/11 at Professor Kaplow’s Harvard Law Site here. If I wanted to belabor this point I would digress into what beyond a reasonable doubt means, but I will avoid that temptation for the sake of the reader. 4. Chuck also quotes the same ILM for the proposition that the IRS's normal tax presumption of correctness would not apply to FBAR penalty determinations because those penalties are not tax penalties. I also avoid a digression, but simply note here that, in my judgment, (i) the presumption of correctness is a meaningless substitute for thought with almost rote case citations giving the appearance of thought and (ii), to the extent that it is meaningful (which I doubt), I am not sure it is limited to actions of the IRS in tax matters, because it had its roots in a general presumption of regularity for government agency action. The disclosure criteria also included (i) 250 accounts in which there is evidence of "fraudulent conduct," such as false documents or the use of calling cards to disguise the source of trading (the threshold for disclosure is 250,000 francs), and (ii) 4,200 accounts that generated revenues of an average of more than 100,000 francs a year for at least three years, including any year between 2001-2008. For purposes of the foregoing, revenues were defined to include gross income (interest and dividends) and capital gains (which are calculated as 50 percent of the gross sales proceeds generated by the accounts during the relevant period). • obtaining "loans" to the U.S. beneficial owner or a related party directly from, secured by, or paid by assets in the offshore company's account. It is likely that the United States will require other financial institutions to disclose account holders having smaller accounts and less earnings than those at UBS. There have been rumors of discussions regarding the required disclosure of accounts having a high balance of the equivalent of $50,000 at any time between 2002 and 2010. U.S. persons having interests in foreign financial accounts should not find comfort in a belief that other institutions will somehow refrain from disclosing relatively small accounts in the current enforcement environment. Those who think too long may be sorely surprised at the high level of ultimate cooperation between their institution and the U.S. government. 6. Chuck notes (p. 768) that "Practitioners are currently unable to provide any degree of certainty to their clients who have yet to step forward." I will quibble a bit. Practitioners can go through the same drill they have done for many years in assessing a client's risk of criminal prosecution and determining whether to recommend to a client that he or she enter the IRS's historic voluntary disclosure practice. 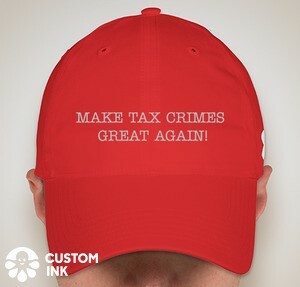 And, if the client chooses to pursue that opportunity, I think the client can get assurance of no criminal prosecution (provided that he or she is not otherwise on the IRS radar screen, which was a disqualifier under the special programs which have now lapsed. The real uncertainty is with respect to the maximum penalty that would be asserted -- which was capped in the two special offshore voluntary disclosure programs. Still, one might reasonably speculate that the in lieu of penalty will likely be more than the 25% offered in OVDI 2011 and less than the 50% imposed in criminal cases, with the taxpayer also being subject to the risks of an audit. (I know, I am speculating that, although the IRS will not have a formal program since it seems to have foreclosed that in OVDI 2011, but it only make sense to me that it will employ the procedures and techniques fine-tuned in the two offshore programs to process future voluntary disclosures under the general voluntary disclosure practice. 7. Chuck has a good discussion of the IRS audit practice relating to foreign accounts and the standard bone-crushing IDR. A related concept is the presumption. In classic procedure theory, the presumption serves to shift the burden of production to a party who does not otherwise bear the burden of persuasion as to a fact issue. This classical function for the presumption is codified in FRE 301 as follows. Rule 301. Presumptions in General Civil Actions and Proceedings. Conceptually, a party who bears the burden of persuasion must produce evidence of the fact in issue in order to persuade. If no evidence on the critical fact issue is produced, the judge will not permit the jury (the trier of fact in the jury trial paradigm) to decide the fact issue -- that is, the judge will direct a verdict on the fact issue. Hence, in classic procedure theory, the party bearing the burden of persuasion will necessarily bear the burden of production. However, for various reasons, the courts (and even Congress) will sometimes impose a production burden to the party who does not bear the burden of persuasion. We shall see an instance of this in the new burden of proof rules that we shall turn to after this introductory discussion. One of the classic debates in procedure theory is whether a presumption that shifts the burden of production to a party who does not bear the burden of persuasion can have any effect beyond merely shifting the burden of production. That is, whether the presumption has any effect after the party to whom the burden of production is shifted meets the burden of production. Does the presumption disappear or does it have any continuing effect? Rule 301 quoted above seems to resolve that issue, but speaks directly to the burden or risk of nonpersuasion. Is there anything else though that could be influenced by the presumption? a presumption is sufficient to get a party past an adverse party's motion to dismiss made at the end of his case-in-chief. If the adverse party offers no evidence contradicting the presumed fact, the court will instruct the jury that if it finds the basic facts, it may presume the existence of the presumed fact. If the adverse party does offer evidence contradicting the presumed fact, the court cannot instruct the jury that it may presume the existence of the presumed fact from proof of the basic facts. The court may, however, instruct the jury that it may infer the existence of the presumed fact from proof of the basic facts. Judicial opinions routinely, almost without any thought, pronounce that the notice of deficiency in a Tax Court proceeding has a presumption of correctness. Similar pronouncements are made in refund cases (the denial of the claim for refund has a presumption of correctness) and in a collection suit (the assessment has a presumption of correctness). What does the presumption of correctness mean? I noted above in discussing the general concepts that, under classic theory now embodied in the Federal Rules of Evidence, a presumption serves only to assign a burden of production. In a tax case, the taxpayer already bears the burden of persuasion as to the underlying tax liability and, since the taxpayer bears the burden of persuasion, the taxpayer perforce already bears the burden of production. Assigning a presumption of correctness to the IRS’s actions thus assigns to the taxpayer a burden of production that the taxpayer already has by virtue of bearing the burden of persuasion. Accordingly, one case has said that the presumption of correctness merely covers with a handkerchief something that is already covered by a blanket. Although conceptually the presumption of correctness has limited and indeed no real function in tax cases where the burden of persuasion is assigned to the taxpayer, the cases seem to have given the presumption a life of its own. But the same question is presented in tax cases as noted above in discussing Rule 301, FRE. That is whether the presumption has some potential effect beyond the mere assignment of burdens of production. I noted above that Rule 301 as finalized by Congress does permit the trier of fact to "infer" the fact even if it may not preclusively presume it. In the mail delivery presumption discussed above, based on persuasive evidence that party A mailed the notice the jury would be able to infer that party B received the notice, thereby satisfying A's burden of persuasion. The jury can simply disbelieve B’s testimony that he did not receive the notice. Can a trier of fact in a tax case infer that the IRS is correct because of the presumption of correctness said to attach to the notice of deficiency even when the taxpayer has met his burden of production on the issue? The answer is no. The reason is that in the mail delivery instance the burden of production for policy reasons is shifted to the party who does not bear the burden of persuasion -- party B. In the tax case, the presumption of correctness merely assigns to the party who does bear the burden of persuasion a production burden that the party already had anyway. There is no need to assign any ultimate force to the presumption in assessing whether the taxpayer's burden of persuasion has been met. If the taxpayer's evidence is persuasive (50+%), the taxpayer wins wholly apart from the presumption of correctness which has then been shown persuasively to be erroneous. For tax penalty purposes, Section 7491(c) imposes on the IRS a burden of production (a lighter burden than the burden of persuasion. The IRS meets this burden by producing some reasonable evidence that it is appropriate to impose the relevant penalty, although it need not be evidence that establishes liability for the penalty by a preponderance of the evidence. If the IRS meets the burden, the taxpayer then has the burden of persuading the Court that he or she is not liable for the penalty. Note that in this discussion there is no need for consideration of a presumption of correctness. If, however, the civil fraud penalty is involved, the IRS does bear a persuasion burden. Section 6663(a)(1). The IRS is first required to prove that some portion of the understatement is attributable to fraud by clear and convincing evidence. If the IRS meets that burden, which is a substantial burden lying somewhere between more likely than not and beyond a reasonable doubt, the entire understatement will be subject to the penalty except to the extent that the taxpayer establishes by a preponderance of the evidence that it does not arise from fraud. § 6663(b). Now note, in this discussion, there is no office for any presumption of correctness. That is the bare outline of my case for the point that presumption of correctness does nothing. I could say even more on this without some of it not being repetitive but discretion tells me, first, that I have said too much already and, second, that I must quit when I am not as far behind as I could be. In my view, willfulness has to do with "secret" accounts and foreign entities. Most people in OVDI don't intend to keep their accounts in secrecy if using their own names and in countries where IRS can easily access data. Yes, they are tax non-compliance, but I don't think they were aware FBAR before joining OVDI. If they had never heard of FBAR, where would be a wilfulness on not filing at all ? However, even non-willful civil FBAR penalty is in the wide range, and for those who really do not have much money at all..
You need to keep in mind that the willfulness concept (intentional violation of a known legal duty) applies both for FBAR (criminal and civil penalty) and tax (criminal and civil fraud penalty) purposes. Just because one had never heard of the FBAR would not protect him or her from criminal and civil tax risks. Moreover, where the taxpayer has not filed an FBAR and has not reported the related income on Schedule B and checked the box "No", then it would not take many additional facts to have a prima facie (perhaps not ultimately persuasive, but prima facie) criminal tax case even without an intervening entity. An on your emphasis on "secret" accounts. The issue is whether the existence of the foreign account even if in the taxpayer's name without some visibility in the U.S. would be the problem. That is a secret account. Williams had already pleaded guilty of tax crimes. The IRS couldn't make wilful FBAR apply to him. He had over 7,000,000 in an offshore account in a secret bank jurisdiction (Switzerland). The court required a preponderance of evidence, and they could not convict. Now how about us innocent residents of other countries? (Or those who emigrated to the US--we are in pretty much the same situation). The law discriminates against us because we didn't open up our bank accounts to commit crimes, but simply for our personal savings, like everyday Americans living in the USA who open up normal accounts just to conduct their everyday affairs--they of course are not required to report their bank accounts. So why would we think that we had to and how is it fair to us that we have to report our private information to the government without reasonable cause or a warrant, in specific and direct violation of the 4th amendment. This is a violation of a equal protection. This discrimination is a criminal act on the part of the government. The question is whether the IRS is not wilfully violating the Constitutional rights of Americans and whether Americans don't have the right to string them all up. So I would suggest that since FBAR is intended to detect underlying crimes (money laundering, tax fraud, terrorism), to apply it to law abiding non-residents and recent immigrants who did not know about the law is a violation of the intent of FBAR and therefore the IRS is wilfully committing a criminal act against certain citizens in wilful collusion with Congress, which is commit fraud against the American people by spending the government into insolvency; the government is already insolvent--they just have the ability to create money via QE and therefore can keep the fraud going for a long time. Did you see that the government of the United States is now holding group renunciation sessions in Toronto. Come on, Mr. Schulman. Very badly done. Also the Washington Times had an article suggesting that FATCA will cause 14 trillion in private foreign assets to leave the US and result in the loss of as many as 10,000,000 jobs. So now Congress and the IRS are wilfully committing job destruction, for they have been warned. The implication of your final paragraph is that law abiding taxpayers should pick up the tax cheats portion? And $14T and 10M jobs? Get real! Look at the article yourself. It says that FATCA will cause foreign private investors to pull their funds out of the U.S.A. 14 trillion is invested there by foreigners. They will take their capital out of the US if there is a 30% withholding tax because the financial institutions are unable to comply with FATCA. It implies nothing about who is cheating or who is going to pay, not at all. It just says that there are unintended costs of unreasonable regulations. I've already pulled all of my investments out of the US. I know of other Americans living in Canada who are doing the same. I wish it were more. The US doesn't deserve our help. And for your information, I don't live in the US, I am no longer a citizen, and I am not going to pay for the generational welfare, the food stamps, the cash for clunkers, the stimulus or the TARP or any of any other similarly stupid things. I pay enough taxes here in Canada, thank you very much. And I am not cheating on my taxes. And neither are the other Canadians that I talk to. So just get over it. What I was implying in my comment is that the term wilful applies to the United States federal government, which is WILFULLY violating the rights of certain Americans and at the same time implementing policies that will lead to misery in the US. I really look forward to seeing a copy of this when or if it becomes available. Thanks for posting as much has you have with all your comments. It sure provides us non experts with a good education. I would would to read and digest it in total if it becomes available to non subscribers to Tax Notes. I sure hope someone of importance at the IRS reads and considers what these various expert commentators are saying about the VD programs. Do you think? Also, just for a second reference, as this blog is more current, I just posted this information on the OVDI/OVDP experiences thread.. I have just recently noticed this call in blog talk show on FBAR and FATCA that is being hosted by an expat in Canada. You might want to check them out. They have had two shows so far, which you can download. It is a small effort, which we should try to support. If more begin to know it is around, it might gather a following... Here is the link.. I see they have a show tonight at 5:30P. Thanks, to Just Me. I posted the link in the body of the blog. Thanks to Anon 5% and Just Me for the link. Was waiting for it. Not much new there, but the IDR document list would discourage anyone from making a Voluntary Disclosure. Have OVDI participants avoided having to provide such detailed documentation? I think the IDR items in the article represent extreme situations likely not in OVDI or OVDP. I participated in 2009 OVDP and we got an IDR that had just 1 item requested on it. Everything else we submitted was pretty normal stuff that you would expect to submit with a disclosure on an offshore account. I could see IRS issuing such a detailed and multi faceted IDR in situations outside of the recent initiatives or in situations where they were questioning the truthfulness and or completeness of a disclosure. I could be wrong but based on my experience in 2009 it was nothing like the sample IDR in the article. Probably larger accounts and those held in more complex structures would be subject to a more detailed document request. I am into my 25th month since filing for the OVDP, and I have yet to receive one. Not sure what to expect in the future, so will defer to Anon123's analysis. It burns me up that entire Corporations have Billions of cash "offshore" in locations such as cayman, and bermuda, being the manufacturing "hubs" of activity that they are, and are looking for tax holidays to "Bring the money BACK" with CNBC rooting for their cause, while we small fry individuals are debating how tightly the screw should turn against us: willful v non-willful, and in most cases have to cough up 25%. This same CNBC in July of 2011 was barking two days straight (a can't miss infomercial for the IRS really) about "Criminals" who keep their money offshore. I am disgusted in my country at every level: fake wars, phony capital markets, unequal treatment, and then they go after your meager savings. if you are in the ovdi,do you have to wait for the completion of ovdi to relinquish citizenship? I suppose there is no physical impairment or obstacle to force you to wait, but the practical question is, is it a good idea to do both concurrently? That is a strategic question, I don't have an answer for. I could speculate that they may not allow you to complete the expatriation application until your OVDI was settled, but I could be totally off base here. Assume you want something more authoritative than that! While you are waiting for a good answer, might I suggest another blog to consider. Here is a link for you that you might find useful. Maybe you could pose that question over there. The subject has got more discussion in those threads in the past.